In Jerusalem this Easter week thousands of Christians from around the world will be joining worshippers in the city to process for Palm Sunday and Good Friday and to celebrate the Resurrection in many churches, including the Church of the Holy Sepulchre. We praise you Lord and thank you for how you made your light shine upon us: ‘Blessed is He who comes in the name of the Lord!’ Psalm 118:26. Lord in your mercy…hear our prayer. 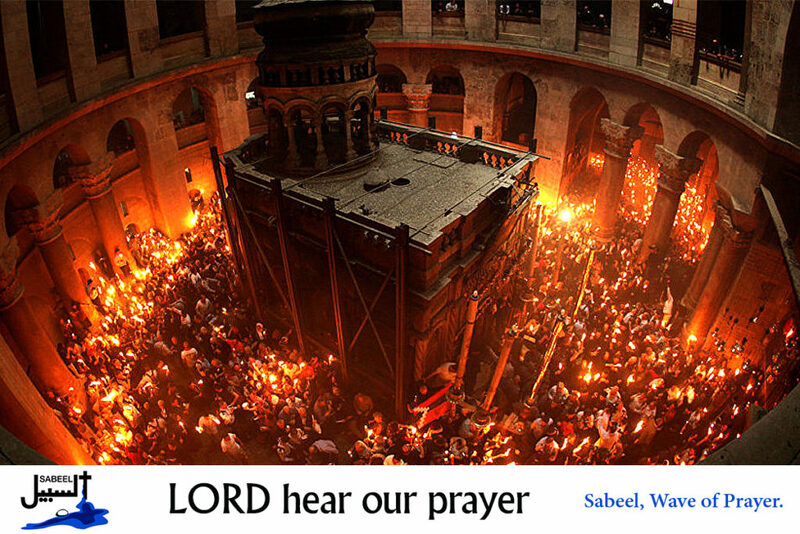 Sabeel is an ecumenical grassroots liberation theology movement among Palestinian Christians. Inspired by the life and teaching of Jesus Christ, this liberation theology seeks to deepen the faith of Palestinian Christians, to promote unity among them and lead them to act for justice and peace.